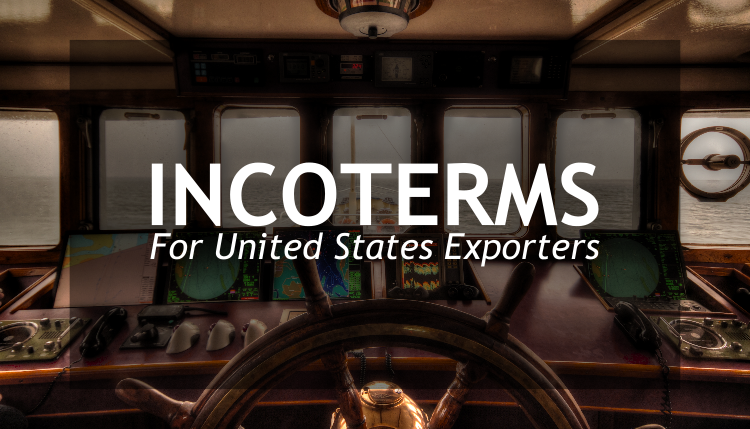 Choosing an incoterm for your U.S. exports can be tricky business. However, with an understanding of the responsibilities that come with each incoterm, an exporter can easily choose the best one for their business. When it comes to international trade, there are always two parties involved in any sale of goods; the buyer, typically the exporter of the goods, and the seller, typically importing the goods. 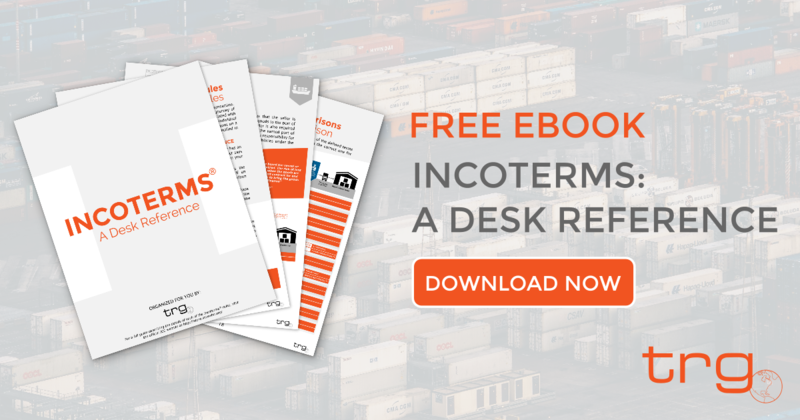 Although the same incoterms are available for both of these parties, choosing an incoterm that is the best fit for your business can be dramatically different between these two. The following is a look at the different incoterms and why they may or may not be the best choice for an exporter. The different incoterms are ranked from best to worst terms for a business exporting goods, but ultimately the choice should be what works best for you and your buyer. 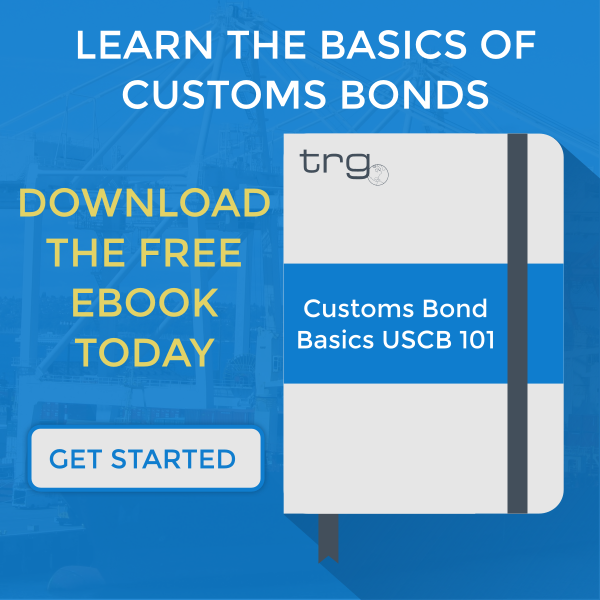 These two incoterms are typically the most recommended term of insurance for a U.S. seller to use for their exports. With CIF terms, the seller is able to control the costs of shipping internationally to the destination port and the seller is also able to control the cost of the transit itself. In regard to cargo insurance, CIF requires the seller to purchase insurance up to the foreign port. It also ensures that the seller is able to keep control of the goods and their coverage terms throughout the majority of their transit, only relinquishing control at the riskiest point. However, there are a couple of things to be aware of when choosing CIF term insurance. One is the carrier’s limit of liability and how that is affected by the port of destination and the other is if that port of destination allows foreign insurance. In the practice of international trade, there are some countries that do not allow foreign insurance or do not allow certain carriers to operate within them. In fact, some countries even define ‘within’ differently. It’s best to check with your broker whether an annual policy could cover exports to each country shipped to under CIF terms. If your port of destination is located in one of these countries, you should know this ahead of time to ensure you are covered for the majority of the transit. With a FOB incoterm, the insured is able to name the port where the transit risk will transfer from the seller to the buyer. Therefore, when the importer (or buyer) purchases the cargo insurance policy, they are able to name the foreign port as the beginning point for the policy. This means that the buyer is able to keep control of the goods and their coverage terms throughout the majority of the transit of their goods. When selecting Freight on Board, the buyer and seller determine who is to insure the goods. If the seller/exporter is responsible for insurance, they will be for as far as the port of origin. However, in some cases, the insurance provider may cover up to FOB but the client will have further coverage under their domestic transit policy. However, the client should double-check that this is the case, as some insurers treat transits to FOB as being International marine exposure and, therefore, do not provide coverage under a domestic transit policy. When an exporter or seller contracts a sale on DDP or DAP they are responsible for delivering the goods to the warehouse or storage of your client in the country of destination, including insuring to the final destination. Therefore, the exporter/seller is responsible for maintaining control of the goods throughout their entire transit journey, this includes their transportation through the foreign country. DDP and DAP term insurance may seem like a desirable option at first glance since the exporter would have complete control and can, therefore, negotiate competitive transport rates. However, there are a few important concerns to take into consideration before selecting this option. If the destination is known to have regular complications with transportation within the country, the best way for an exporter using DDP or DAP term insurance to protect themselves is to use a freight forwarder with a presence in that country. A freight forwarder with an office in that country will be able to navigate the complications and will be able to offer more flexibility through the supply chain. In these cases, the country may not allow the goods to enter upon arrival. No matter what decision the exporter made when choosing an incoterm, they should do their due diligence and research the country of destination for policies and restrictions, or check with their broker. However, when DDP or DAP has been selected, this due diligence gains importance since they will be responsible for the goods while they more through that destination country. Choosing EXW term insurance puts the least amount of responsibility on the exporter when compared to the alternative incoterms. While this may sound preferable to a seller, the reality of how the entire process functions is much more complicated and, typically, ends up offering the least amount of protection for the exporter. With Ex Works, the seller prepares the goods for transport and their responsibility ends there. It is then the buyer’s responsibility to contract the transportation and any additional steps in getting the goods to their destination. However, this incoterm leaves room for many ambiguous situations that can make it heard to define that responsibility in the event of a claim. When an exporter selects EXW term insurance, it becomes extremely important to clearly define roles and responsibilities with the client/buyer for any incidents that may occur during the loading process.